How Healthy Is Your Juice Cleanse? Unless you've been living under a rock, you would've noticed that the market for cold pressed juice in Melbourne has kinda exploded of late. From fruity blends, to lean, mean, green juice machines, Melbourne's obsession with the juicy stuff is in full swing. It's for good reason though – cold pressed juice is far better for you and has more nutritional benefits, thanks to the ingredients literally being pressed rather than ripped apart and broken down in a traditional juicer. Since there's no heat and less oxidisation involved in the pressing process, cold pressed juice retains a heck of a lot more of the good stuff – think vitamins, minerals, live enzymes and other nutrients that all work towards repairing muscles, boosting the immune system and balancing acidic levels. As a result, the popularity of cold pressed juice cleanses in Melbourne has also gone through the roof. That said, if you thought all juice cleanses were created equal, you'd be wrong. 'But it's juice and it's a cleanse, so surely it must be healthy right?! ', we hear you wonder. Well, not exactly. What many of us don't know is that while cold pressed juices are definitely better for you, many of them are still high in fructose, which sort of defeats the purpose of cleansing in the first place. 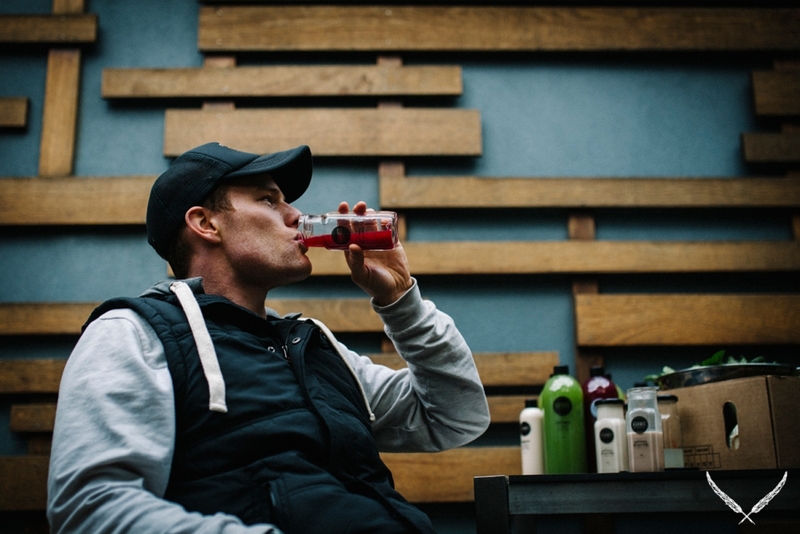 Sam De Bruin, one of the brains behind Karmic Cold Pressed Juice, Melbourne's newest and juiciest cold pressed recruit, is an expert when it comes to the matter. His passion for healthy living and resolute belief that having a clean body leads to a clear mind is what lead to the creation of Karmic – a range of four nutritionally balanced cold pressed juices that are available singularly, or in a range of cleanses. "At its core, a juice cleanse allows the body an opportunity to reduce the overall level of toxicity in the system. It also helps to rest and clear internal organs, facilitate greater nutrient absorption, improve sleep quality, and aids radiant skin and nails, amongst many other benefits. "It's important though to remember that not all juice cleanses are the same. Be aware of the juice ingredients and combinations of juices being consumed, as the sugar content can be quite high in some blends." Some of the fruits highest in fructose? Apples, pears, cherries, pomegranate and berries (strawberries, blueberries, etc). That's not to say the you should avoid cold pressed juices featuring these ingredients altogether; however if fructose is on your hit list of things to avoid, then Sam recommends steering clear of them. 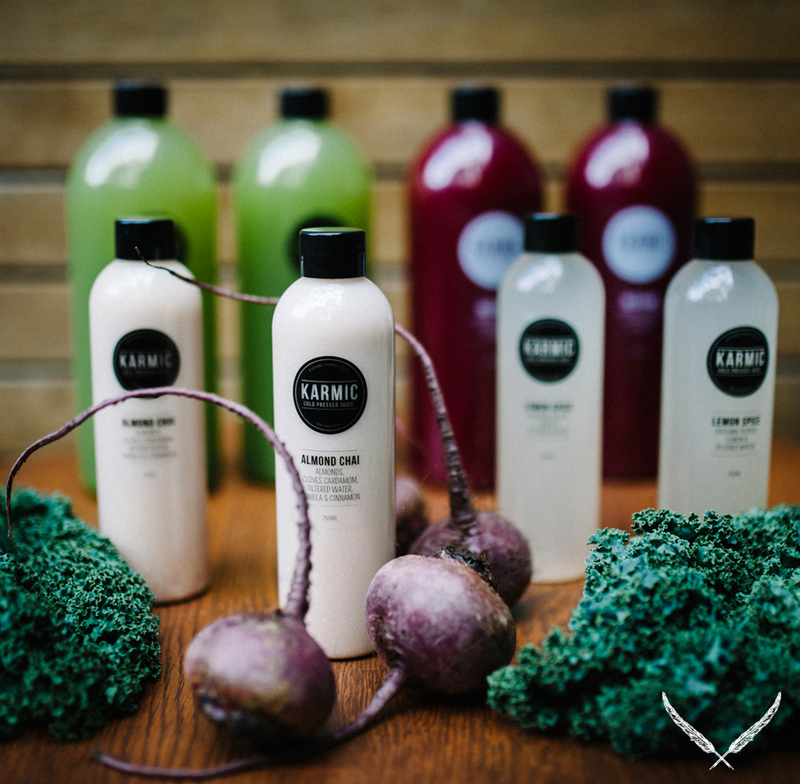 The good news is Karmic's cold pressed juice blends have all been carefully created so that they're low in fructose (less than 5% per cleanse, to be exact!) whilst still delivering the right amount of nutrients to your body. And after having tasted them for ourselves, we can attest that they're damn delicious too! Leafy Green (celery, kale, cucumber, spinach, lettuce and lemon) gives you a super serve of antioxidants without that typically 'grassy' taste most green juices usually have, while the nice 'n' zingy Red Raw (beetroot, carrot, celery, lemon and ginger) does wonders for your blood supply and metabolism. Speaking of all things that zing, Lemon Spice (lemons, cayenne pepper and filtered water) is the perfect mix of citrus and spice, and kick-starts your metabolism, regulates blood sugar and aids digestion. If it's something sweeter you're after then Almond Chai (almonds, vanilla, cinnamon, cardamom, cloves and filtered water) is for you – the vanilla will definitely help to satisfy that craving! It's also packed full of mono-unsaturated oils, and is a great source of iron, magnesium and calcium. 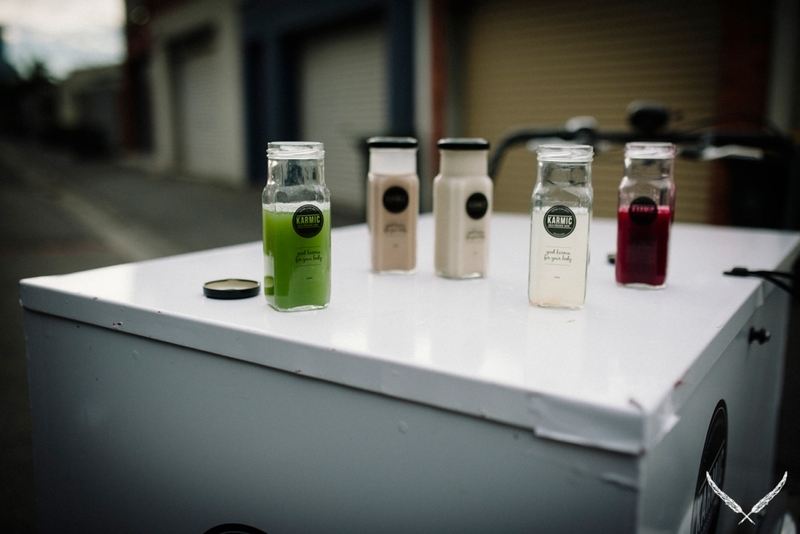 Keen to try Karmic Cold Pressed Juice? With damn delicious blends, a host of benefits for your bod and less than 5% fructose per cleanse, we don't blame you. To make it even more tempting, the Karmic Krew are offering Urban List readers 10% off all cleanses from now until 30th September 2014. All you have to do is enter the discount code URBAN at the checkout! Too easy. TUL Note: Today's List Love post is proudly sponsored by Karmic Cold Pressed Juice and endorsed by The Urban List. Our sponsored posts will never be a secret — the List Love seal will be stamped on any sponsored material you see on the site. Thank you for supporting the sponsors who make The Urban List possible.